Introduce little ones to all sorts of different homes for animals! In Animal Homes, little ones will be asked which homes belong to which animals. The pages of this book are filled with familiar, kid-friendly animals such as cats, fish, dogs, birds, and more, rendered in soft colors that make this an even more enjoyable experience for babies. 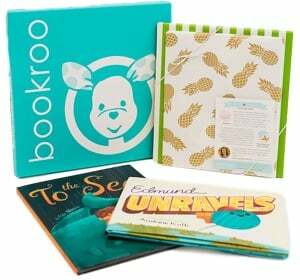 Each page includes an embossed animal home, creating a tactile experience for tiny hands. And on the last spread, all the animals appear with their correct homes! "When Hee Jun's family moves from Korea to West Virginia, he struggles to adjust to his new home. His eyes are not big and round like his classmates, and he can't understand anything the teacher says, even when she speaks s-l-o-w-l-y and loudly at him. As he lies in bed at night, the sky seems smaller and darker. But little by little Hee Jun begins to learn English words and make friends on the playground. And one day he is invited to a classmate's house, where he sees a flower he knows from his garden in Korea, "mugunghwa," or Rose of Sharon, as his friend tells him and Hee Jun is happy to bring a shoot to his grandmother to plant a "piece of home" in their new garden." --Provided by publisher. A dog looking for a home sends letters to prospective owners on Butternut Street, with surprising results. That popular little character is back looking for friends, in an adventure he’ll never forget. Confident and cocky, the Gingerbread Baby happens upon a bakery, where he dances and prances in front of a sugar cookie girl, trying to make friends. But she just stares and doesn?t say a word, like all the other sweet treats he tries to meet. Discouraged, the Gingerbread Baby runs home, chased by a long line of hungry creatures, where Mattie has a fantastic surprise for him–gingerbread friends that fill a giant fold-out page. Irresistible images inside the confectionery and outside in the snowy Swiss countryside will delight Jan Brett fans. Ty the T-Trux has to find a new home after a volcano erupts and ruins the crater he's been living in. After a long search, he finally finds the perfect place...but there's a bigger T-Trux there named D-Structs, who tries to make him leave. Can Ty convince the other Dinotrux to work together to defeat the bully? Dinotrux ©2016 DreamWorks Animation LLC. All Rights Reserved. There’s no place like home, but poor Florence Firefly is lost, and there are so many bright lights shining in the night sky she doesn’t know which way to go. She’ll need some help to find her way back home. In this brilliant interactive picture book, children can help Florence on her journey by encouraging her to fly faster, suggesting which direction to take and making a wish. Wilson dreams of all the ways he can help improve his friend Gigi’s house so that she’ll be warm, comfortable, and happy. One day, friends and neighbors from all over come to help make Wilson’s plans come true. Everyone volunteers to pitch in to make Gigi’s house safe, clean, and pretty. Inspired by a friend’s volunteerism, author Julia Durango tells a story of community and togetherness, showing that by helping others we help ourselves. Further information about Labor of Love, United Way, and Habitat for Humanity is included at the end of the book. Enjoy the first day of school with Spot! It’s Spot’s first day of school! He and his friends sing together, play together, and read together. When it’s time to go home, Spot can’t wait to come back tomorrow! Young readers will love going to school with their favorite puppy Spot. Three sisters staying home alone are endangered by a hungry wolf who is disguised as their grandmother in this Chinese retelling. Mabel Jones finds herself aboard the Feroshus Maggot--a ship crewed by the strangest bunch of pirates you'd (never) want to meet. She then has to find pieces of an X-shaped puzzle that in her hands could be her ticket home, but in the hands of Captain Split, they'd give him the power to assemble a pirate militia to take over London! From the bestselling author of Charlie and the Chocolate Factory and The BFG! Danny has a life any boy would love—his home is a gypsy caravan, he’s the youngest master car mechanic around, and his best friend is his dad, who never runs out of wonderful stories to tell. But one night Danny discovers a shocking secret that his father has kept hidden for years. Soon Danny finds himself the mastermind behind the most incredible plot ever attempted against nasty Victor Hazell, a wealthy landowner with a bad attitude. Can they pull it off? If so, Danny will truly be the champion of the world. A boy must leave his home and find another. He brings with him a teacup full of earth from the place where he grew up, and sets off to sea. Some days, the journey is peaceful, and the skies are cloudless and bright. Some days, storms threaten to overturn his boat. And some days, the smallest amount of hope grows into something glorious. At last, the boy finds land, but it doesn’t feel complete . . . until another traveler joins him, bearing the seed to build a new home. With lyrical text and gorgeous artwork, this poignant picture book is perfect for discussing all of life’s toughest challenges—a big move, a divorce, long-distance separation, or even the current refugee crisis—in a way that’s reassuring and inspiring for children and adults alike. Tash didn’t want to go to camp, didn’t want to spend the summer with a bunch of strangers, didn’t want to be separated from the only two people she has ever been able to count on: her uncle Kevin, who saved her from foster care, and Cap’n Jackie, who lives next door. Camp turns out to be pretty fun, actually, but when Tash returns home, Cap’n Jackie is gone. And Tash needs her—the made-up stories of dolphin-dragons, the warm cookies that made everything all right after a fight, the key Cap’n Jackie always insisted had magic in it. The Captain always said all Tash had to do was hold it tight and the magic would come. Was it true? Could the key bring Cap’n Jackie back? In a heartfelt and stunningly written story, Pat Schmatz introduces readers to a tenacious, fiercely loyal girl struggling to let go of the fantasies and fears of her childhood . . . and say yes to everything that lies ahead. From picture-book genius John Burningham comes a whimsical new story about home, hope, and the convivial wisdom of children. Every night, a family -- a mom, dad, boy, and girl -- have supper and go to bed. But they're not alone. Every night, after that family is asleep, a secret mouse family emerges to find food for their supper, and the mouse children start to play. Then one night it happens: the boy spots a mouse, and his father calls the mouse catcher. Concerned, the children write a note to the mice ("your lives are in danger"), and the mouse family flees to the backyard, where the boy and girl leave tiny swings and a trampoline they've made for the mice to play on. But as winter approaches and the children no longer see the mice frolicking outside in the evenings, they start to wonder. Where could the mice have gone?